Linens, Things and More… specializes in creating unique decors for any special occasion and weddings. 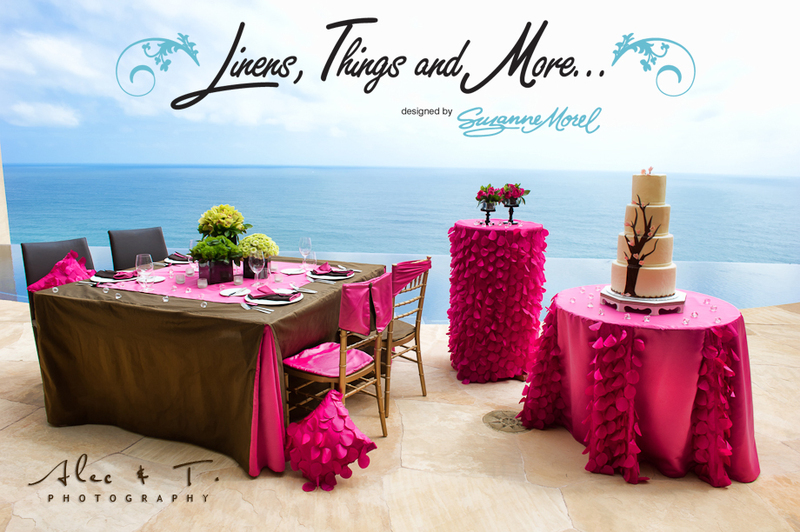 We offer unique collections and we also specialize in designing linens exclusively for your upcoming event in Cabo. This entry was posted in Accessories and decor, linen collection 2010, Weddings and corporate events decor and tagged DECOR, high end wedding, LINENS, LOS CABOS, tablecloth, wedding cake table, wedding napkins, weddings.